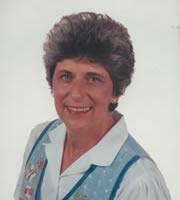 Judy Fujawa has been an early childhood teacher for more than 25 years. Her teaching experiences include participation in self-contained classrooms, team-teaching formats, open-space classrooms, and a summer camp program. Judy has worked at public schools, private schools, a church-related preschool, a national corporate child care center, and a college campus child care center. She designed, marketed, and implemented Creative Music and Movement Enrichment Sessions for preschoolers at seven different child care facilities. Judy has created, developed, and presented workshops and seminars for both teachers and parents of young children at regional and national conferences. Judy Fujawa lives in The Villages, Florida. "This book is an excellent tool for early childhood educators starting out in their field, but even experienced teachers might enjoy going back to the basics as a reminder of what's really important to a child. The book is also useful for parents in terms of helping them understand and appreciate how teachers provide children with a positive early school experience and how they might work with teachers for the benefit of their children." "Veteran teacher Judy Fujawa offers experience in her warm, perceptive (and often humorous) book of lists, each packed with a great deal of information and insight into very few words. Whether it's fun things to put in the water table or how to prepare children for kindergarten…you can always rely on (Almost) Everything You Need to Know About Early Childhood Education for useful, creative, effective ideas."